Fighters loyal to late Libyan leader Muammar Gaddafi have clashed with revolutionary forces in the former-regime stronghold of Bani Walid, taking control of the city in the process. 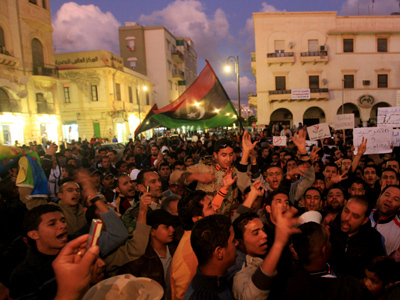 The head of Libya’s National Transitional Council Mustafa Abdel Jalil today warned of the threat of another civil war. 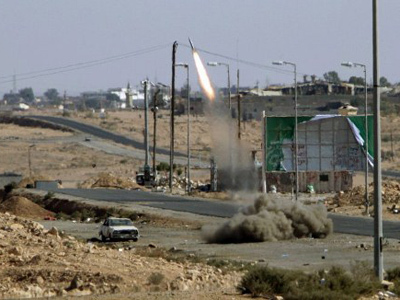 At least five NTC troops were killed and 30 others injured in the violence, Interfax reports. M’barek al-Fotmani, a local official, says the pro-Gaddafi rebels who seized control of Bani Walid were using heavy weaponry including 106mm anti-tank weapons. He also said that authorities called for help when the attack began, but the NTC did not send any troops. "There are between 100 and 150 men armed with heavy weapons who are attacking. We have asked for the army to intervene, but the Defense Ministry and NTC have let us down," he told Agence France Press. "We're out of the frying pan into the fire. We've been warning about this for the past two months," he added. 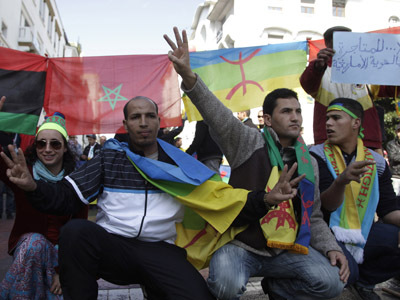 Witnesses say the violence erupted on Monday after Gaddafi loyalists, angry over the arrest of one of their men, attacked pro-revolution fighters. 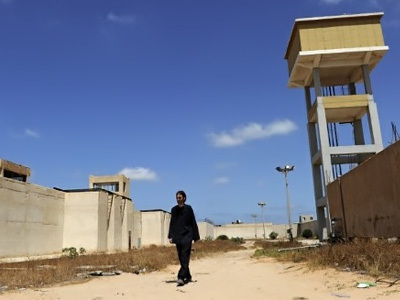 The town of Bani Walid was one of the last bastions of pro-Gaddafi force in Libya's eight-month civil war. 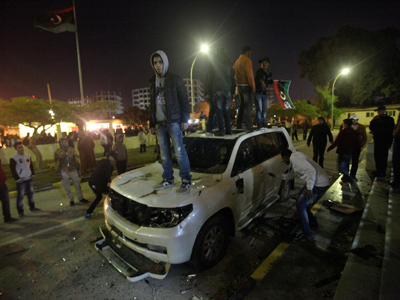 The clashes came after mass protests in the city of Benghazi over the weekend and the subsequent resignation of NTC deputy chief Abdel Hafiz Ghoga. Sabah al-Mukhtar, president of the Arab Lawyers Association, believes a new civil war is a real threat. “Reason number one is that the arms are still in the hands of the various militias in various areas," in addition to competing tribes in those areas, he explained. “Many of them are actually from the old regime – including the leader who was a Minister of Justice under Gaddafi – and there are many other people like his deputy, like many others, who were men of Gaddafi and at the same time now they say, 'we will not allow those who benefited from Gaddafi`s regime to stand for elections.'" The lawyer pointed out that the head of NTC himself served as a Minister of Justice under Gaddafi and turned blind eye to many injustices in the country. Patrick Hayes, a reporter for the Spiked online magazine, says the events in Libya are not surprising given the fact that the West-backed council was not chosen by the Libyan people. The journalist insists that there are people in Libya who are still loyal to late Muammar Gaddafi and the ideas he stood for. “It does seem like the NTC is impotent and isn’t reflecting the needs and desires of anyone in Libya at the moment,” he adds. 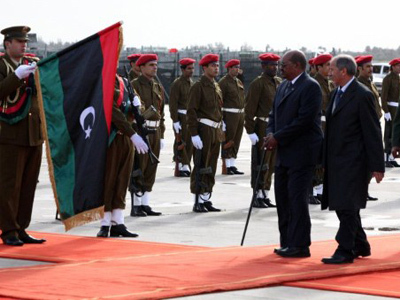 In Haye’s opinion, the Western forces that helped topple Gaddafi will turn a blind eye on what is going on in Libya now and will keep themselves in “self-delusion” that they brought democracy to Libya.